Deliberate provocation or fair point? What's behind the latest Italian-French spat over fueling migration? Italy's deputy Prime Minister Luigi Di Maio, accused France of fueling migration through neo-colonial policies in Africa. The statement caused the French authorities to call in the Italian ambassador in Paris. So what's behind Di Maio's statements? Italian deputy Prime Minister and leader of the Five Star Movement (M5S) Luigi Di Maio said he didn't want to cause a diplomatic incident when he made his latest statement about France fueling migration through 'neo-colonial' policies. Di Maio said that France was stunting African development through financial policies. Although he didn't elaborate, France's financial involvement in Africa is most easily symbolized by the currency union of the CFA, the west African Franc and the Central African Franc, of which 14 countries in sub-Saharan Africa are now members. Since independence from their former colonial masters, the CFA has been taken to mean "African Financial Community" but when it was set up in 1945 the same acronym stood for "French Colonies of Africa", making it easy to take a pot-shot at the CFA today as a symbol of a neo-colonial relationship. The currency was linked first to the value of the French Franc and now to the Euro. In order to stabilize the exchange rate, CFA members are asked to keep around 50 percent of their reserves in the French national bank. In fact, Di Maio was not alone in making comments like this about France. 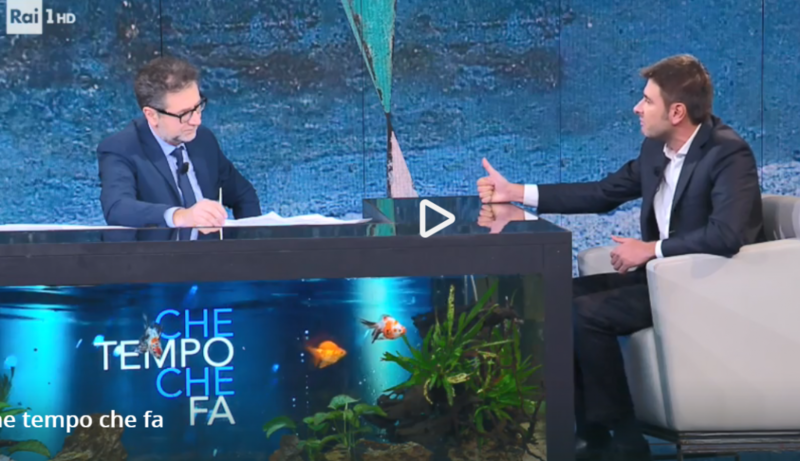 Fellow party member and former parliamentary deputy Alessandro Di Battista appeared on Italy's popular political and cultural Sunday night talk show, Che Tempo che Fa (What's the weather like) on Rai Uno with a similar thesis. Di Battista expanded on Di Maio's statement. He brought a copy of a CFA note into the studio to underline that in his opinion the EU needed to talk about French monetary policy. Tearing up the note, he said: "Until we tear up these cuffs on the African countries then we can sit here for hours talking about open ports or closed ports but people will keep leaving their country, will keep dying at sea, will keep trying to find other routes. Now we have to start addressing the causes of migration because if we are only busy with the consequences then we are an enemy of Africa." Later in the interview he went further and appeared to admit that he was trying to promote a diplomatic incident. When asked what he would do to solve the situation of boats of people in distress in the Mediterranean he answered: "I would save these people and I would take them to Marseille. Until we manage to provoke a diplomatic incident with France then Italy will be left alone to cope with the responsibility." Italy's anger at being left to shoulder much of the burden of search and rescue in the Mediterranean and sorting through asylum claims has been a constant refrain of the current Italian government and a point made by past governments too. Di Battista made the point once more, talking about the incident of the Sea Watch and Sea Eye ships who rescued migrants in Maltese waters. "Two weeks ago, one boat [sailing under a] German [flag] and one [under a] Dutch [flag were] in Maltese waters and everyone wanted to know what Italy should do, which was just so totally wrong!" he exclaimed. Italy's other deputy Prime Minister and leader of the La Liga (Northern League) party, Matteo Salvini, weighed in to the current criticism of France too. Talking on the right-leaning, Berlusconi owned, Mattino 5 TV program he accused France of not wanting to stabilize Libya "because of its petrol interests" which were, according to him, the opposite of Italy's own interests. He ended his statement by saying he refused to take lessons from France because they were regularly pushing migrants back at the Italo-French border at Ventimiglia. The thesis about the CFA is not particularly new. It is something which according to La Repubblica started doing the rounds on social media in 2014. It was something which cultural mediator Lucien Sidibe from Ivory Coast mentioned after I interviewed him in Catania in November 2018. It was one of the reasons he chose to settle in Italy and not France even though he can speak fluent French. His own country, Ivory Coast is one of the countries which uses the West African CFA franc. 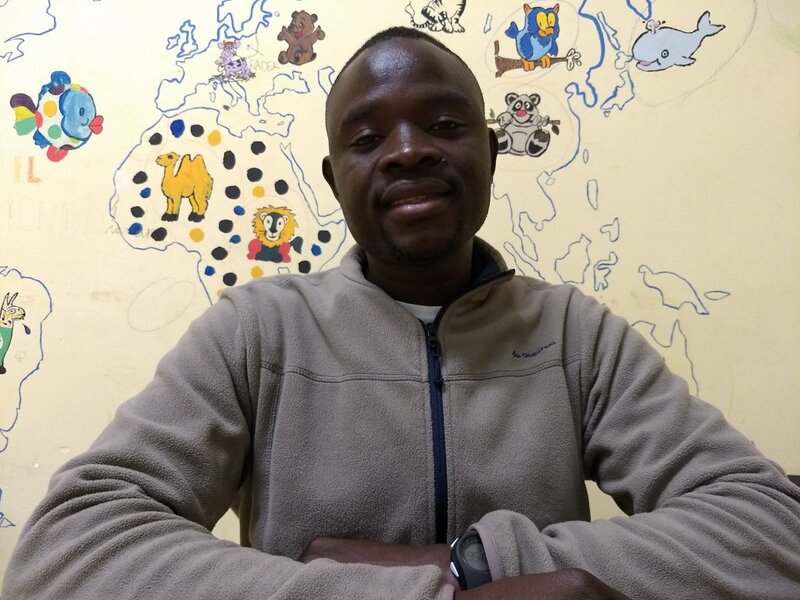 Sidibe is the co-founder of "Africa Unita" (United Africa) in Sicily which communicates with the local population about the reasons why people are forced to migrate. He said: "I go into schools to try and tell people about who we are and our stories and what people are really undergoing in Africa. I talk about multinationals which are kidnapping the land there, which are doing loads of awful things which are forcing people to leave. We can no longer stay there. We want to share our stories with people and not stay silent. Because you have to understand no one on earth would undertake these journeys simply for pleasure; that is not why people do this." After I turned off the recorder he had lots more to say about his view of how France was holding countries across West Africa in a kind of neo-colonial relationship. It is a wave of opinion which could be summarized under the subtitle "African Revolution" which happens to be the subtitle of the campaigning Algerian sociologist and author Said Bouamama’s blog. In July 2018 he published a post in French about how the CFA was a "predatory colonial currency" inducing servitude. Critics object to both the CFA's colonial legacy and to the fact that it means that all members have to keep a reserve to stabilize their exchange rate in the Banque de France (French national bank). According to a fact check article by the Italian newspaper La Repubblica, the value of that reserve is estimated at around 10 billion euros. Money that could, according to CFA critics, be used to aid development in the African countries concerned. Critics also say that the CFA has helped prop up the French economy over the years and made it much more powerful than it would have been alone. Di Maio said that, without Africa, France would be at number 15 in the world economic rankings not in the top six. 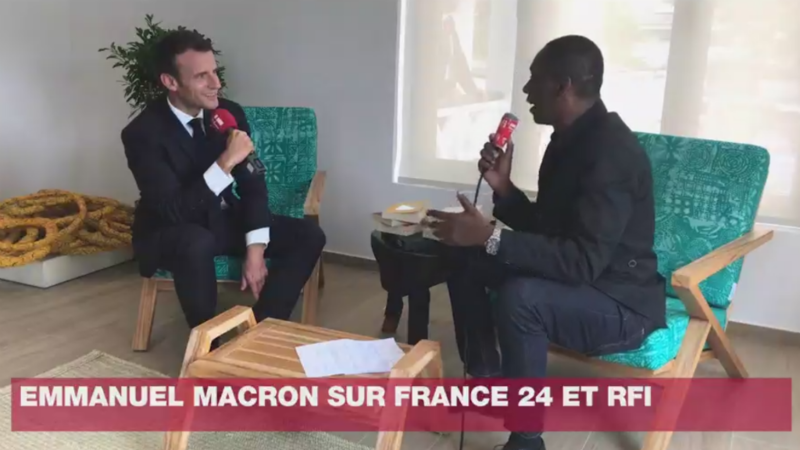 In 2017, President Macron, speaking in Burkina Faso, said he would be happy if the CFA members made changes to the currency or even decided to leave. He said he was "totally open to change" and would "go along with the solution put forward by your leaders." France has always insisted that it binds no one to stay within the union. Some countries have indeed left and a few non-Francophone ones, have even joined. The BBC reported that French diplomatic sources thought that the Italian remarks were "hostile and without cause given the partnership between France and Italy within the European Union." According to the latest Italian migration statistics published January 22 by the Ministry of the Interior, not one CFA member country is among the countries of origin of the migrants who arrived in 2019. In fact, in 2019, Bangladesh is the number one in terms of arrivals, followed by Iraq, Tunisia, Iran, Egypt, Sudan, Russia, Pakistan and Gambia. According to the Italian financial newspaper Il Sole 24 Ore, only 2000 people arrived from CFA countries in Italy throughout the whole of 2018. Even if the CFA were hindering development and fueling migration, not many migrants actually appear to have reached Italy. 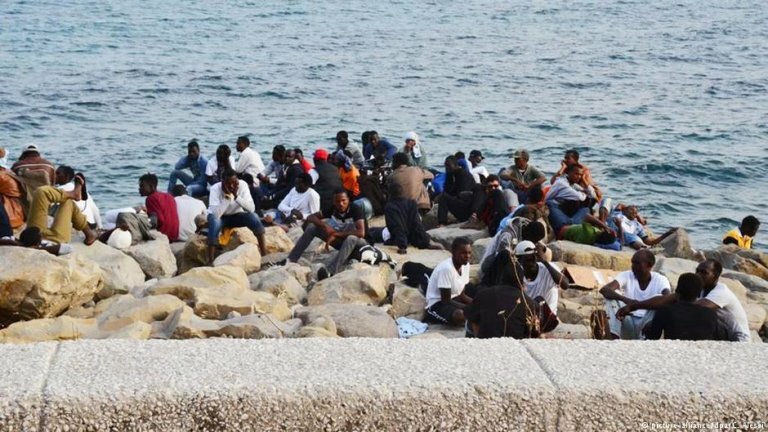 Italy has maintained that closing its ports is stopping deaths in the Mediterranean and deterring crossings. The reality is though that some migrants are still attempting the crossing despite the closed ports policy. Last Friday, more than 170 migrants are feared to have drowned in two separate incidents in the Mediterranean. Another 400 were rescued over the weekend and reportedly taken back to Libya. To date, Emanuel Macron has not expressed himself publically on this issue. 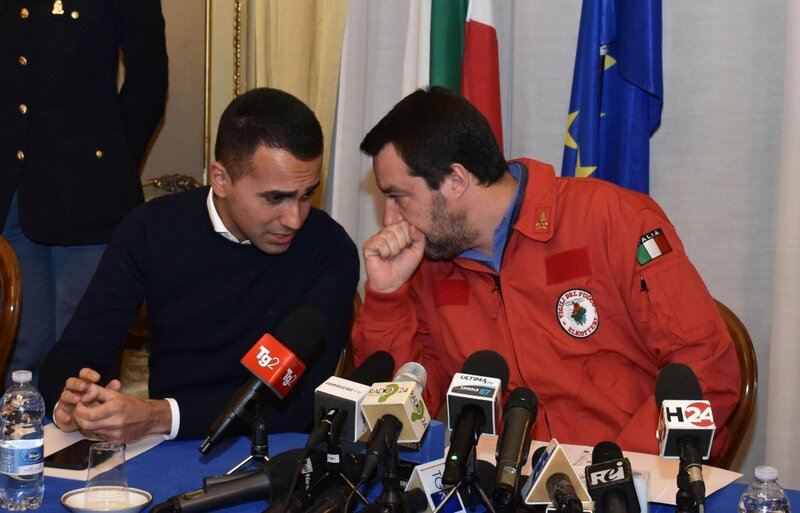 It remains to be seen whether the Italian provocation will get politicians in Europe talking, and as Di Maio urged, make them "brave [enough] to tackle … the causes of migration" whatever they may be.